Wings Plus in Fort Lauderdale, Florida has been serving wings since 1984. We are a family-owned and operated restaurant that specializes in keeping our guests coming back for more! “The Best Wings in Town” isn’t just a slogan, it is our mission. We started winning customers by purchasing the best wings we could find. We continue that tradition today. Our wings are never frozen. 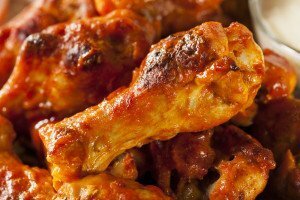 Chicken wings prices go up and down, but that never keeps us from buying the best wings available. Serving Fort Lauderdale residents, visitors, vacationers, and family a quality product is very important to us. Our business was built on “neighbors telling neighbors who told friends” about our awesome food. Yep — it was word-of-mouth. We know you like to come here and hang out with us, maybe drink a beer and watch a game, but its really the food that keeps our restaurant full. Our menu has grown to please all kinds of visitors. In addition to our signature wings, we also offer some really great sandwiches, soups, and salads. So whatever kind of “food mood” you are in — Wings Plus aims to please. Not in the mood to eat? Alrighty, maybe you’d just like to stop in, have a beer, and enjoy the great atmosphere that our locals encourage. Whatever your plans are for the day … remember that Wings Plus is cooking “THE BEST WINGS IN TOWN.” And if you are not feeling like socializing … you can take a big batch home with you. Monday – Thursday 11 a.m. – 10 p.m.
Friday & Saturday 11 a.m. – 11 p.m.